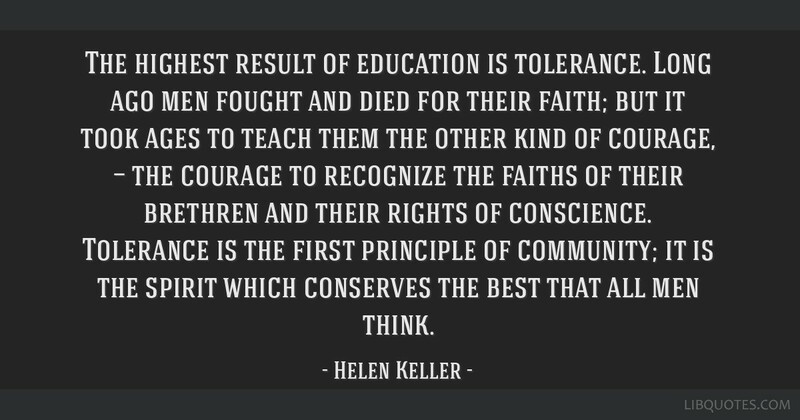 The highest result of education is tolerance. Long ago men fought and died for their faith; but it took ages to teach them the other kind of courage, — the courage to recognize the faiths of their brethren and their rights of conscience. Tolerance is the first principle of community; it is the spirit which conserves the best that all men think.